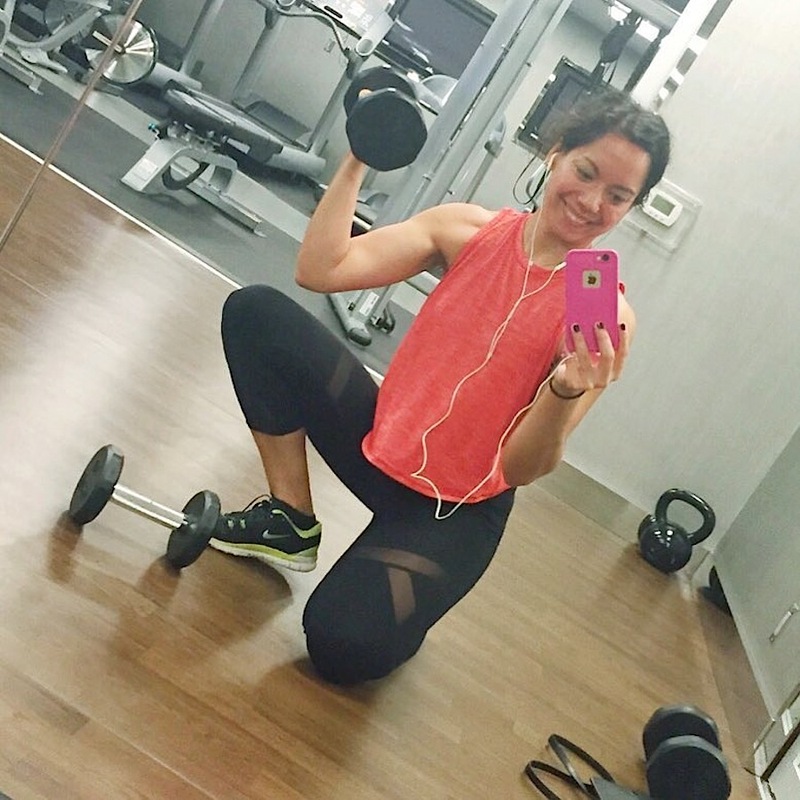 September was a busy month of fitness even though I only did nine ClassPass classes. 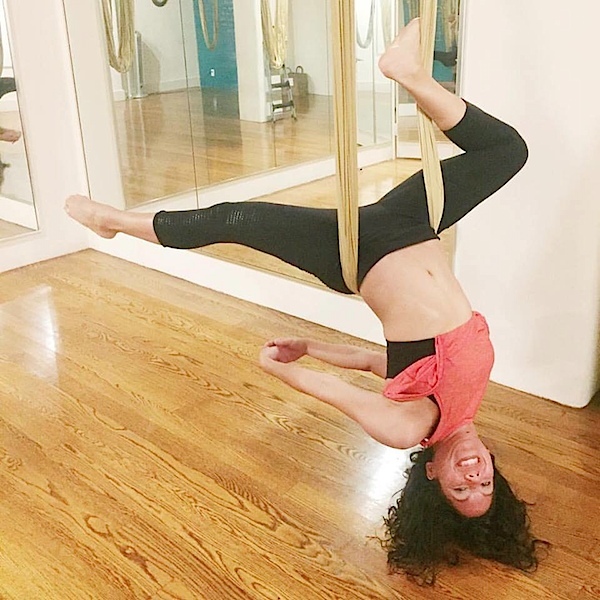 I also did a couple drop-ins outside of ClassPass (see bonus section below). Plus, I was doing a fitness challenge at work, so I added in a little extra toning here and there. Here are the classes I did from September 19, 2016 – October 18, 2016. In my September month of classes, Mitchell Wayne Productions starting digging into Britney’s latest album, Glory. We kicked things off with “What You Need”. Since the album was so new, I pretty much hadn’t heard any of the songs till class. Not being familiar with the songs made things a little more challenging. But Mitchell makes sure we get the moves no matter what. I met a fellow POUND Pro, Kimmi, at class. 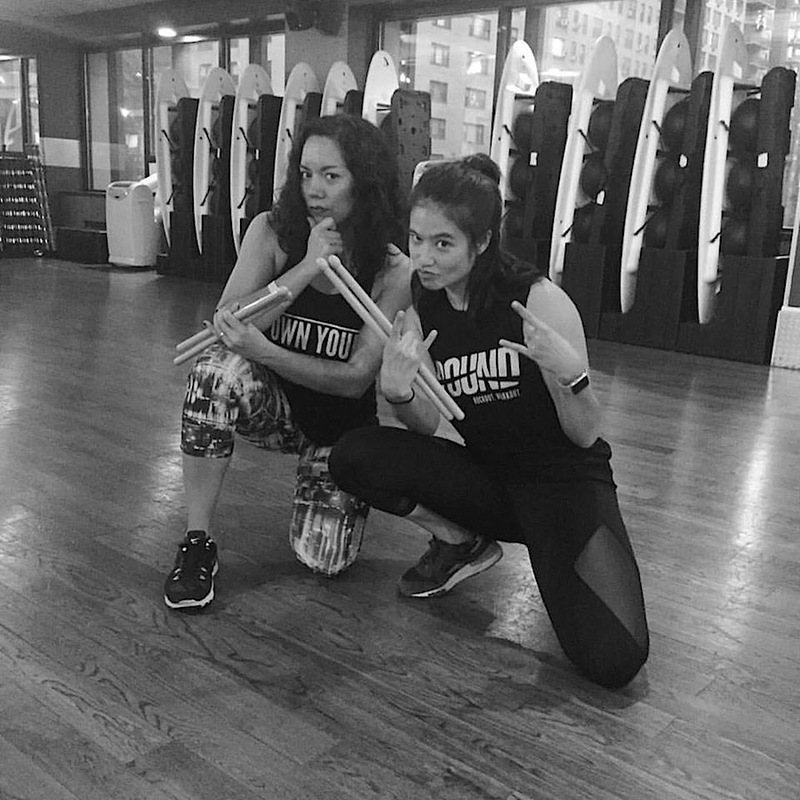 Kimmi was an instructor in California, and I hope she gets to start teaching in NYC soon. She has such great energy! 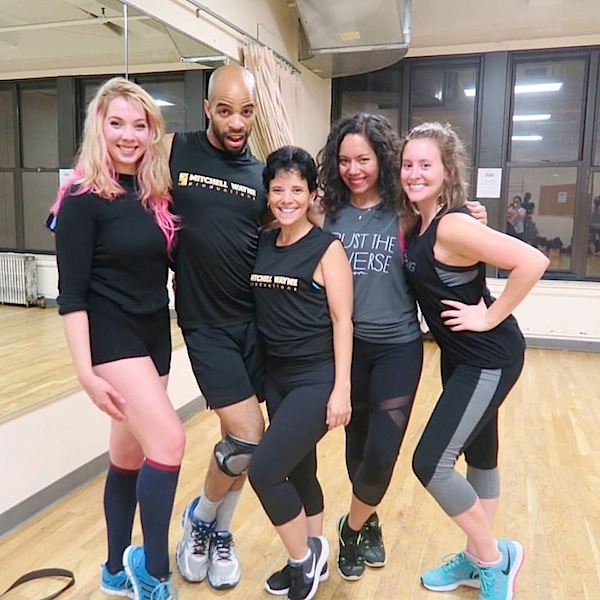 “Rock the Boat” – a fun old school song with @devyyb and Mo at @pmthouseofdance. Love the jump and spin move! 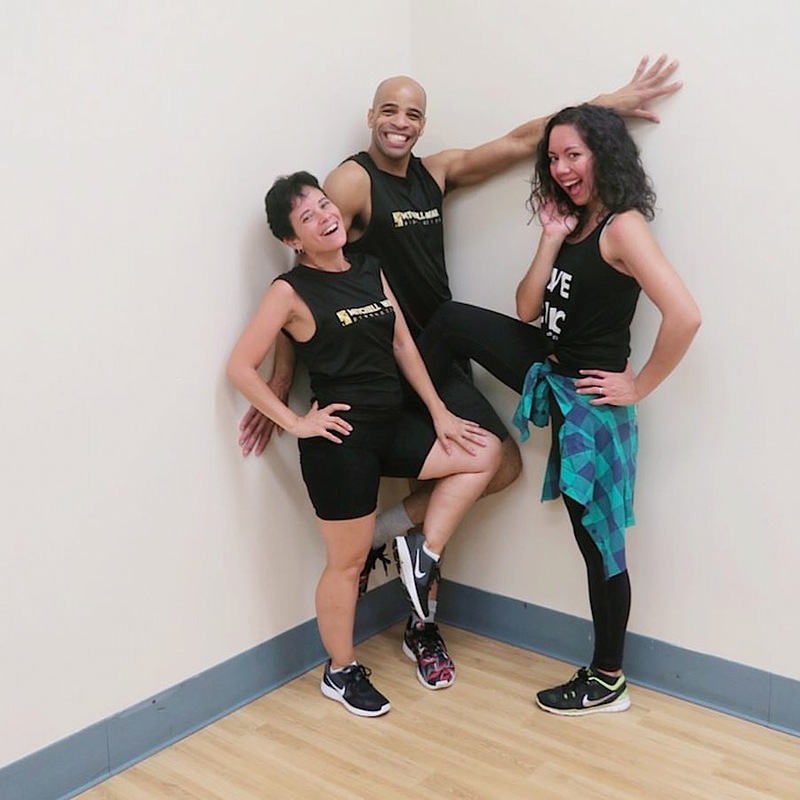 We did a fun throwback to “Rock the Boat” by Aaliyah in beginner hip hop with Dev and Mo. I loved the flow of this one. I thought I’d check out a public skating session at Chelsea Piers. I’d forgotten how busy these things get. I could barely move because there were so many people around, even with the center blocked off for figure skaters. There are usually lots of little kids in there doing lessons with coaches. So, I figure they have priority and try to stay out of their way. I managed to squeeze in a few spins here and there, though. At only $10 per session, I decided to just pay drop in on these in the future. This is really only worth it if you’re on the Unlimited package (which is sadly no longer available). “Toxic” was the very first song I learned with Mitchell Wayne Productions at the beginning of this year. I also got to repeat it with my friend Megan at a 90 minute master class. So, this was my third time doing this choreo. I still love it and would even like to do it again! Since I was in the middle of a fitness challenge with some co-workers, I did a little extra arm/ab work after class. Just some bicep and tricep curls. Plus a bit of plank time for good measure. POUND was also really helping me with my fitness challenge. My goal wasn’t to lose weight but to add muscle mass. I know lifting heavy weights is a better way to do this, but POUND toning is better than no toning (which is probably what I would have done instead). I know I sound like a broken record, but I really do love my POUND classes. 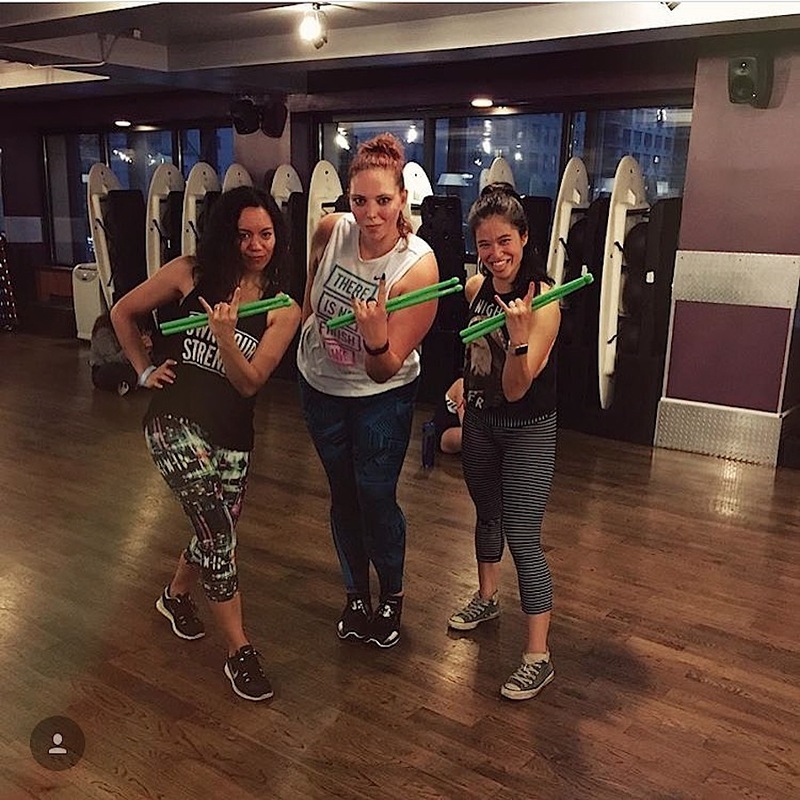 Toning has never been so fun! And pounding the Ripstix is a nice stress relief after a long day. Squeezed in a little handstand practice before class. And since it had been awhile, I went to ANYA for a restorative session of antigravity decompression. R&R is part of a healthy lifestyle! I had maxed out my visits (3 per month) to Mitchell Wayne Productions, but I really wanted to see my dance peeps. So, I did a drop in directly through MWaynePro. It was a simple email to reserve my spot and $20 cash to get in. Woop! This was one of my favorite spins to do with my skating friends back in the day. ❤️ Found just enough space on this crowded public skate to squeeze it in. I went back for another public session, and this one was even busier than the last! I felt like my technique was slowly devolving as I continued to hold back due to lack of space. And I resolved to make my way to a freestyle session soon. Little did I know how soon. When I remembered I had a bank holiday off, I made quick plans to hit up Chelsea Piers for a freestyle session. Because I’d tested to a pretty high level, I was able to choose between the low or high freestyle sessions. I spoke with an instructor at the rink, and she suggested I look at both sessions and see where I fit in. As rusty as I am, I decided to go to the low session. This one was also a little less crowded. The only catch? I had to be careful about not getting kicked off! One of the staff members warned me that the coaches could complain if I was too advanced. I didn’t even know you could get kicked onto a higher session. But yup. You can. Luckily, no one complained, and I was able to comfortable skate on the lower session where I could take it a little easier. It’s now been so long since I really trained, I’m extremely rusty.